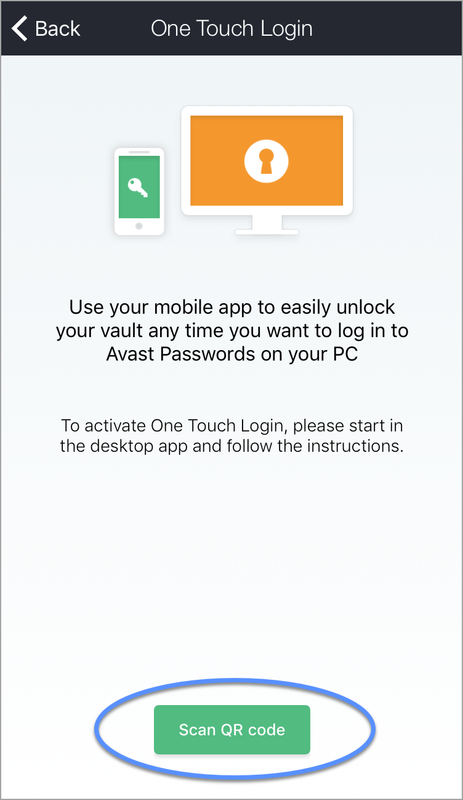 One Touch Login enables you to use your Android or iOS device to access and use Avast Passwords on your Windows PC without entering your Master Password each time. Refer to the sections in this article for instructions to set up and use this feature. Then, follow the steps below according to your mobile device. Open the Avast user interface on your PC and select Privacy ▸ Passwords. 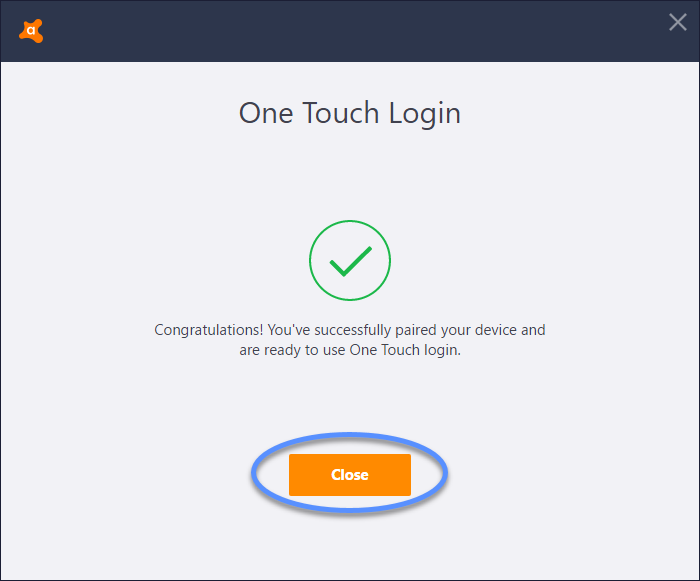 Select the Security tab from the left-side panel, then click Turn On in the One Touch Login section. 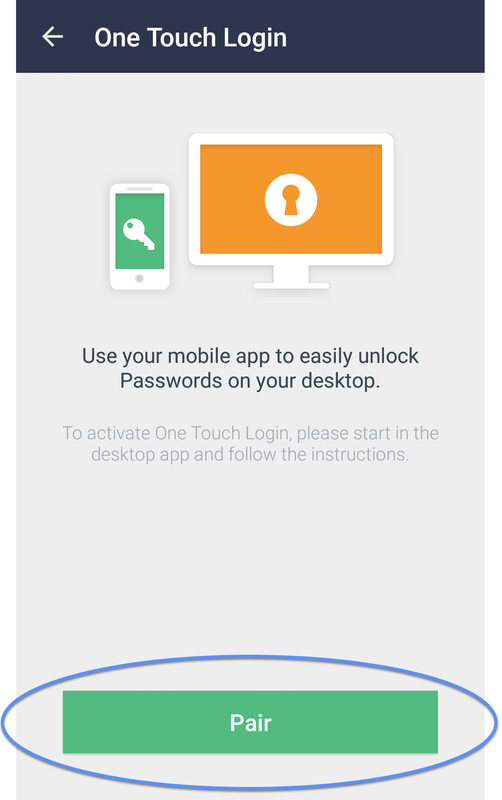 The One Touch Login feature is only available after you have created a Master Password. 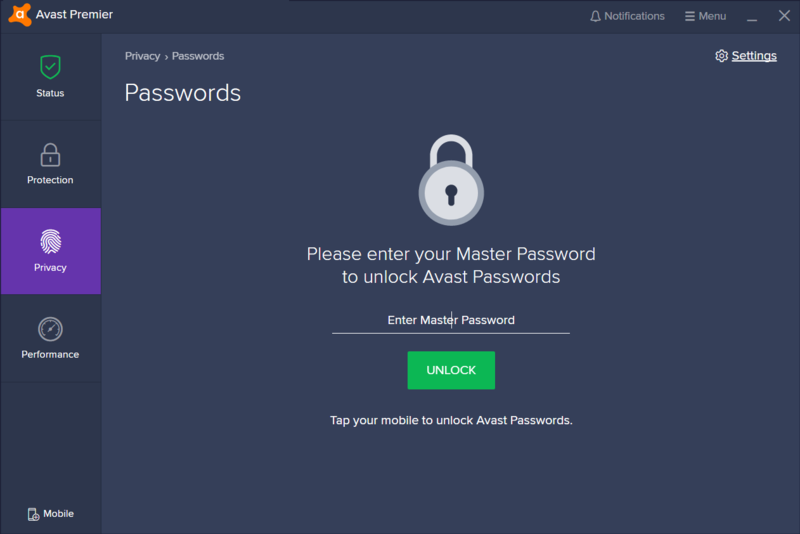 Type the email and password for your Avast Account, if prompted. Click OK, I'm ready. A QR code appears. You will need to scan this QR code with your mobile device during a later step. Tap the ⋮ menu icon (three dots) in the top-right corner of the screen and select Settings, then tap One Touch Login pairing. 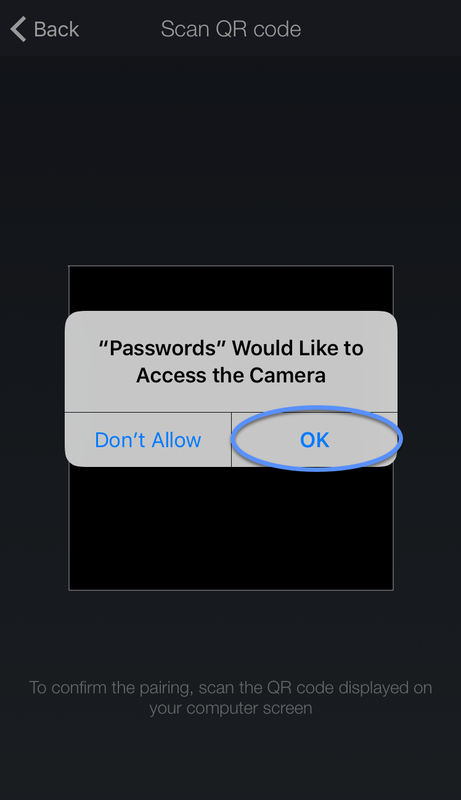 Tap Pair to start the process, then scan the QR code on your PC using your device's camera. Tap Done on your mobile device screen. 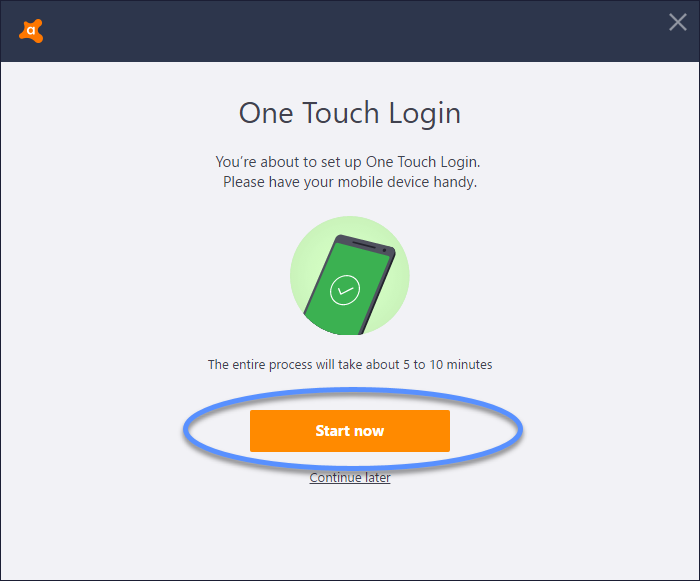 On your desktop, Click Close in the One Touch Login dialog to finish the process. 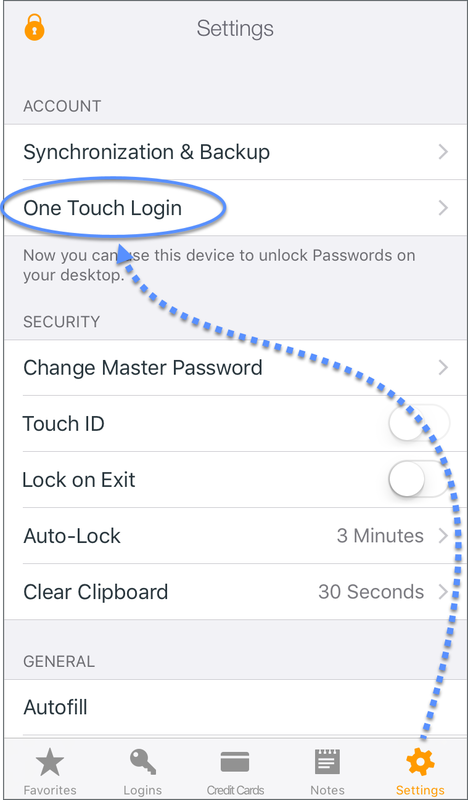 Tap Settings, then tap One Touch Login. 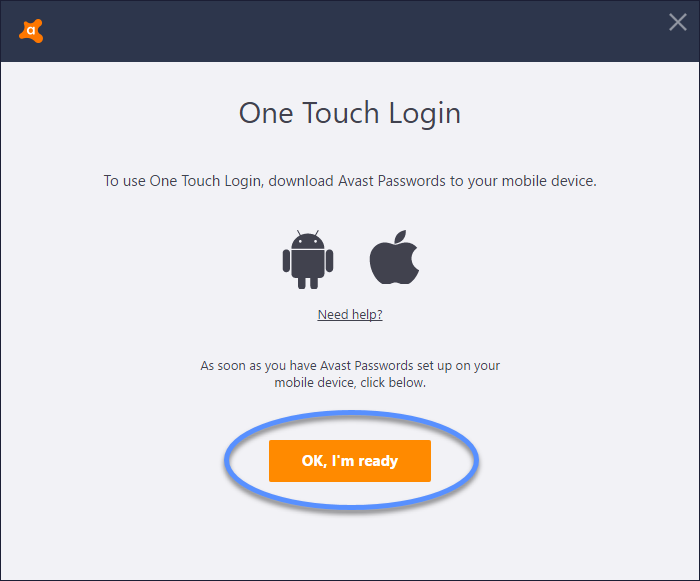 You may be prompted to allow notifications from Avast Passwords in order to proceed. 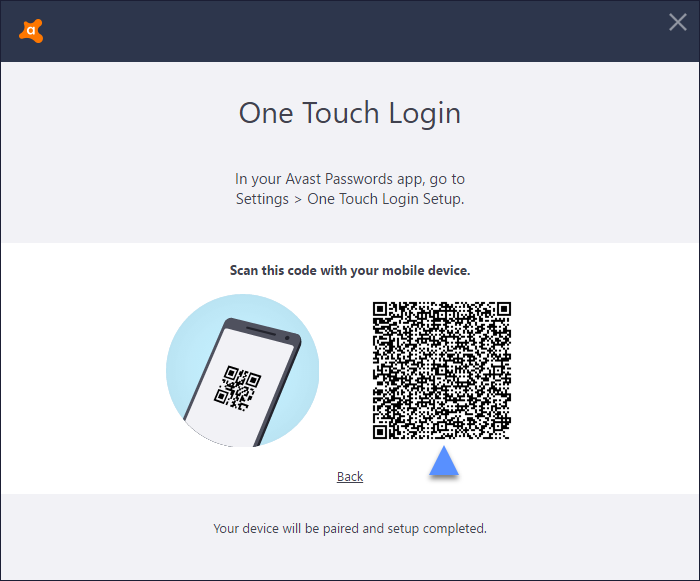 Tap OK to grant Avast Passwords access to your device camera, then use it to scan the QR code on your PC. 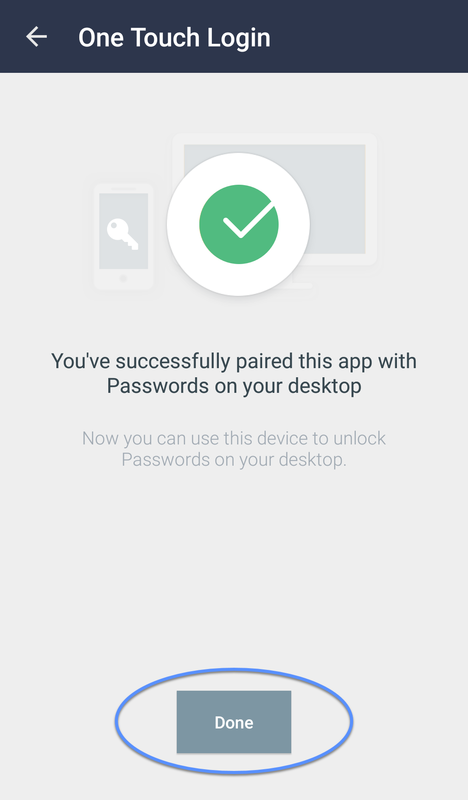 When a confirmation message appears on your device screen, tap Done to finish the process. 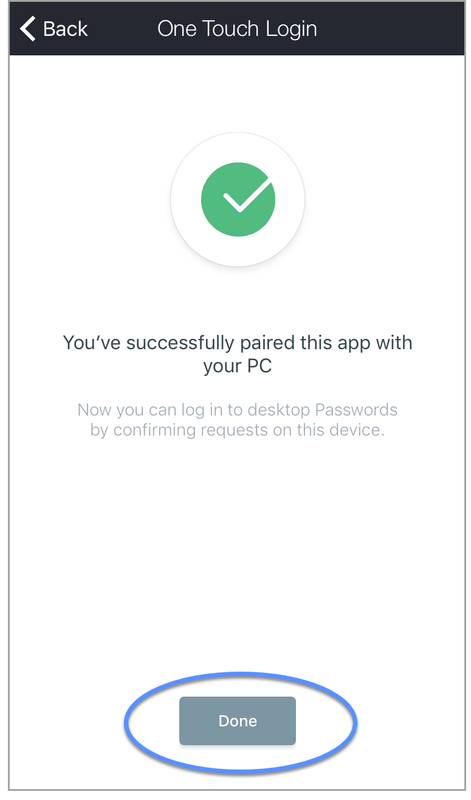 Once your PC and mobile device are paired, you can unlock Avast Passwords on your PC by using your paired mobile device instead of typing your Master Password. 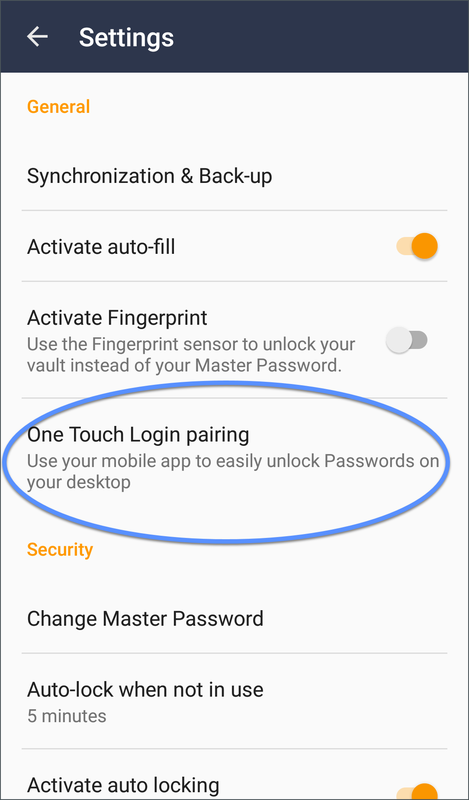 After you enable One Touch Login on your PC and pair it with a mobile device, you can use your mobile device to log into and use Avast Passwords on your PC instead of typing your Master Password. 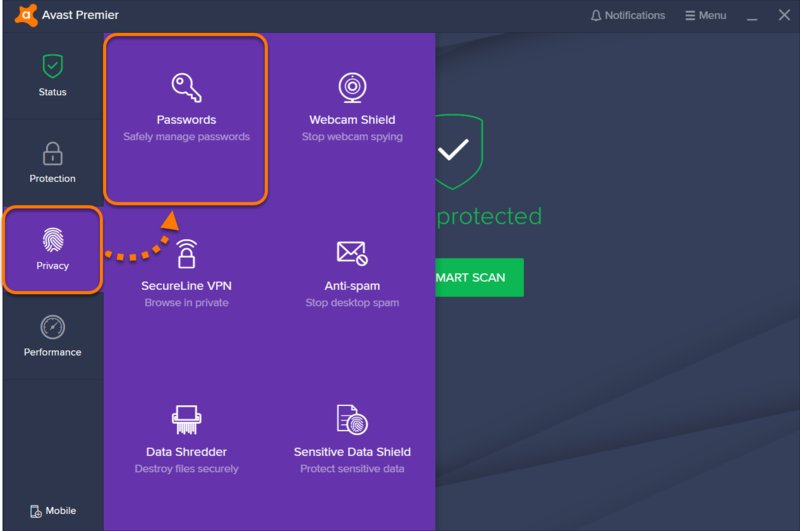 When the Avast Passwords login screen appears on your PC, you are given the option to enter your Master Password or refer to the notification that automatically pops up on your paired mobile device. 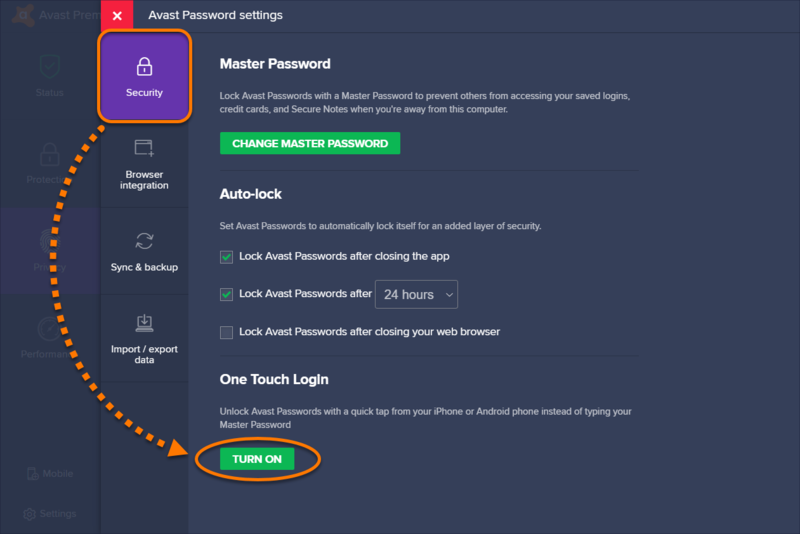 To unlock Avast Passwords using your mobile device, tap Unlock on the notification. 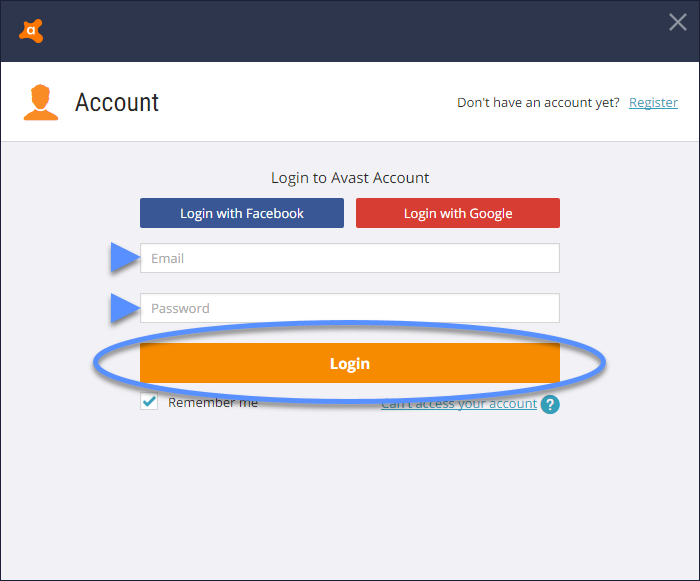 To unlock Avast Passwords using your device, tap or slide the notification to open the Passwords screen, then tap Allow. 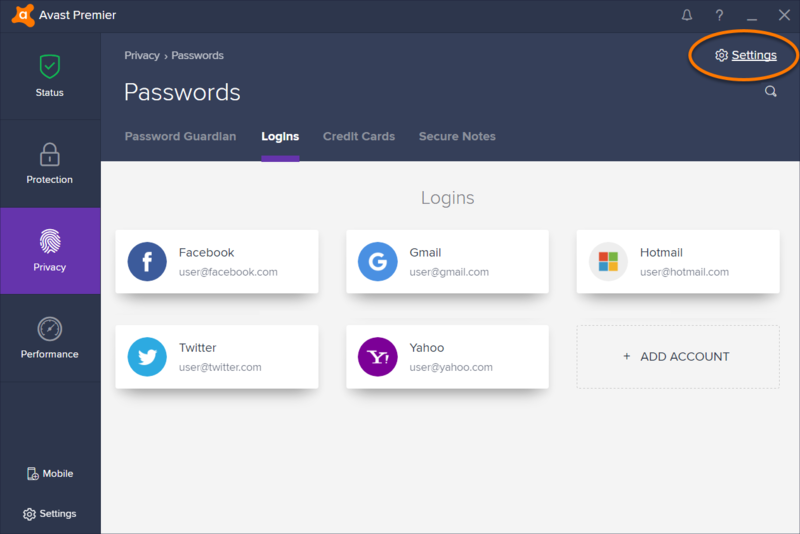 Avast Passwords is unlocked on your PC.